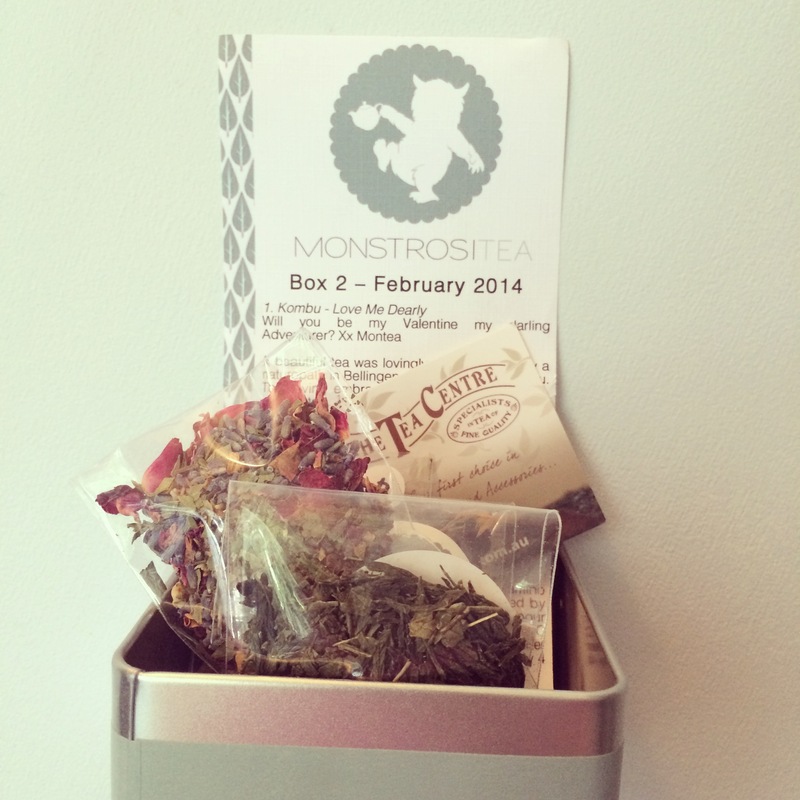 To continue the trend I set last month, here is a review on the teas I received in Box 2 of Monstrositea‘s subcription tea service. Though this is mostly flowers, it doesn’t smell overly of any particular scent. You can really taste the rose. 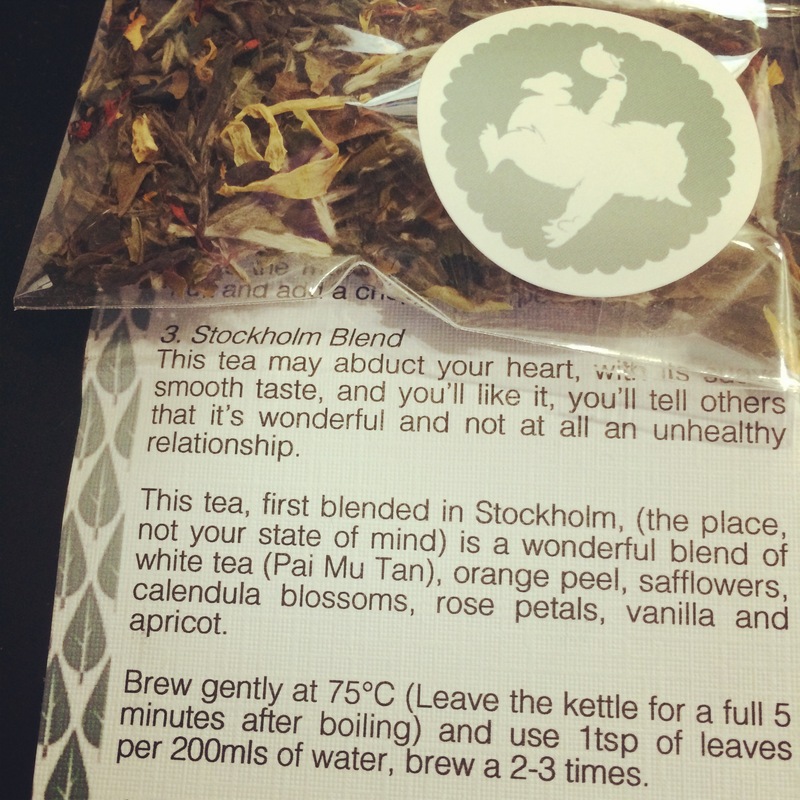 A nice, mellow, smooth distinctive tea that has a warm everything about it. I’m surprised by how non-sweet this is. Possibly the prettiest tea I’ve seen yet. 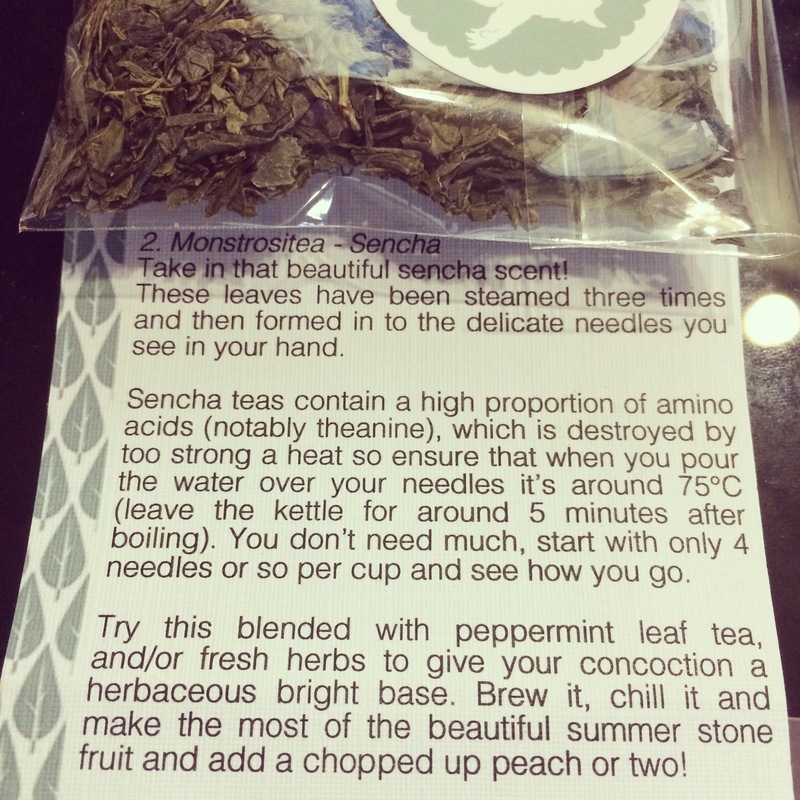 Sencha! Instructions say to start with four lone needles. It also says to try it blended with peppermint which I’ll try next! This has a lovely fresh scent and a bright taste of citrus annnd something I faintly remember that drove me crazy trying to remember! Lemongrass? I don’t know! 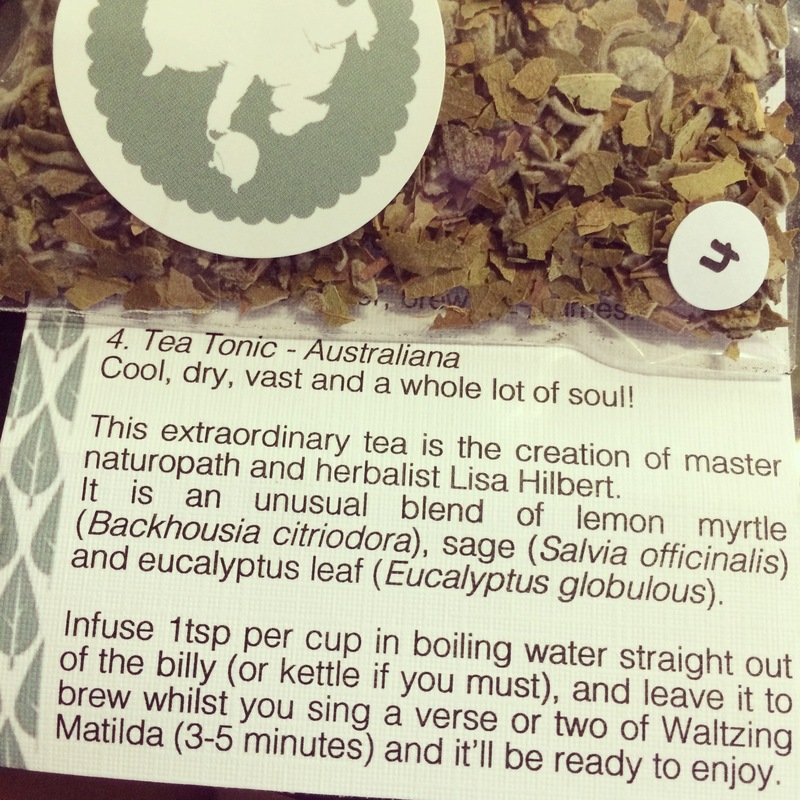 But I love it and can’t wait to make a tea of this and peppermint and ginger. I tried this one first as Rissy wanted to know my thoughts on it straight away. We followed directions and it gave me enough time to carefully pick a good range of the leaves from the sample bag. I really enjoyed the scent as it brewed. This has a simple, uncomplicated taste. It doesn’t taste overly of orange, apricot or vanilla but comes together in an overall flavour that hints at but isn’t sweet either. The strongest scent and flavour from this tea surprisingly is the lemon myrtle, though it remains a light touch and feels clean to drink – light and clean, especially good when recovering from a cold. Reminds me slightly of lemsip drinks with a more ‘everyday’ cuppa ability. Woke me up a bit and felt good straight after dinner. 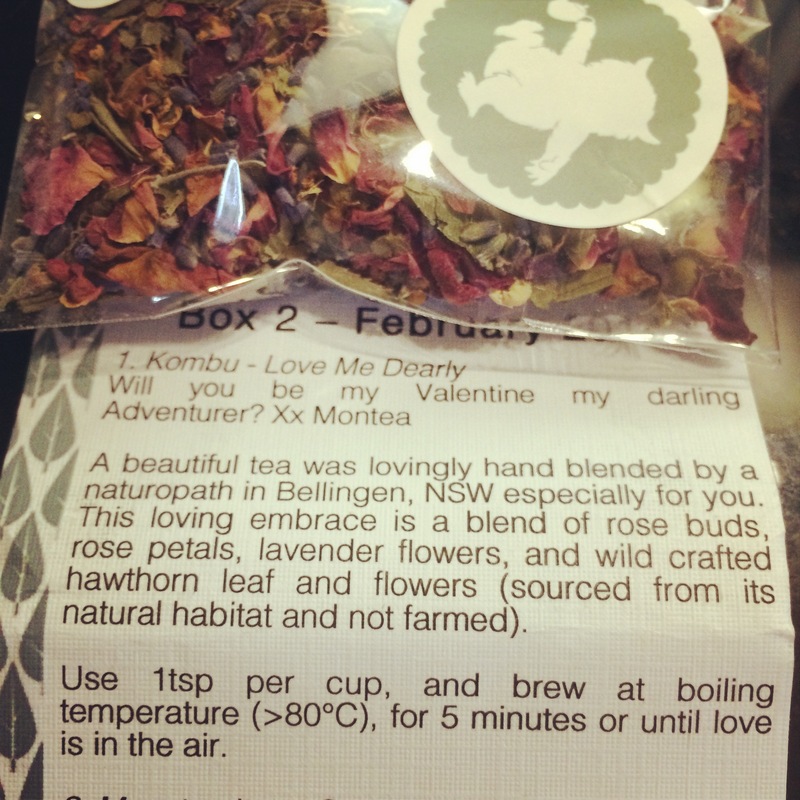 For my review on Box One January teas, please click here.